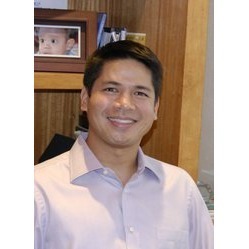 I am the Managing Partner of Narra Venture Capital. Stanford Ph.D. in EE in the early 90s. Still a techie at heart so we prefer to invest in companies with technology differentiation. Semiconductors, Clean tech, internet, E-learning. We invest in the US and in Asia. Not trusting others and trying to do everything alone. 1. Find a team you can live and work with. 2. Investor/shareholder group can make or break you. Choose well. 3. Do your best to always have a financial buffer. Paco is now connected to Mark Mirandilla. Paco is now connected to Clark Carascal. Paco is now connected to Mary Rose Dela Cruz. Paco thumbed up Bambi's update for Vator, Inc.
Paco is now connected to Abe Santos. Paco filled out investment critera.